The Armstrong Cooper Youth Baseball Association (ACYBA) offers a complete and competitive baseball program to all boys and girls aged 13 and over of School District 281, regardless of skill level. We are committed to developing our player’s skills, teamwork and leadership while providing an environment that fosters the highest degree of participation, sportsmanship and fun. Traveling League represents is the highest level of competitive youth baseball. This division is ideal for the highly skilled, dedicated and driven players who wish to improve their game by playing against other highly competitive teams from around the Twin Cities. ACYBA's traveling teams play in the Gopher State Baseball League (GSBL); a metro-wide league with participation from more than a dozen communities. Teams play a 16 game regular season with guaranteed tournaments. More information on the GSBL can be found at www. MYAS. org. 13 Year olds play on intermediate fields - 75 foot base paths and 55 feet from the pitching mound to home plate. ACYBA has playes on two intermediate field,s Zachary Park in Plymouth (Field #5) and Lee Field in Robbinsdale. All 13U traveling home games are played at one of these two fields. The 14 and 15 year old teams play on full size baseball fields - 90 foot base paths and 60 feet from the mound to home plate. 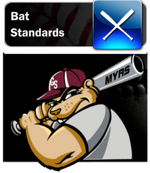 The teams that comprise the traveling leagues are determined by MYAS and roughly equal high school conferences. Each age group has slightly different opponents due to the number of teams at each level. A typical schedule has an equal number of home and away games. Traveling teams also play several weekend tournaments throughout the season, and you should be aware that there may be additional fees to play in these tournaments. The fee is collected by the head coach. In past years, the additional fee for a traveling team to cover the cost of tournaments and additional expenses has averaged $15 per tournament per player for Gate Fees. Additional information can be found on the "Traveling" page of our website. The current season weekend tournaments and game scheduled will be posted there when available (typically in mid-April). Community League is for 13U - 15U players with a. 14-16 game regular season. Games are played on fields throughout the district, and occasionally outside of the district. This level of play is ideally suited for the player who wants well-organized, competitive, baseball, with fewer weekend commitments. We use a “community based” model to form our house teams. Communities include Plymouth, New Hope, Robbinsdale, Crystal, and Golden Valley (ISD #281). Players are grouped together in loose geographic boundaries and play with others close to where they live. We strive to create balanced teams. 13U teams will be scheduled on intermediate size fields when available. All 14/15U teams play on full sized fields and we do our best to schedule games and practices close to a teams “home”, helping make transportation a little easier.